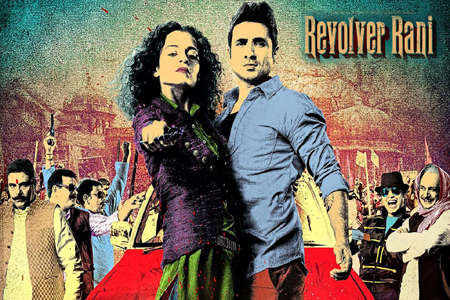 Revolver Rani is a 2014 Hindi crime drama film written and directed by Sai Kabir. The film is presented by Wave Cinemas. It features Kangana Ranaut and Vir Das in lead roles and Piyush Mishra, Zakir Hussain and Pankaj Saraswat in supporting roles. The soundtrack of the film is composed by Sanjeev Srivastava. The lyrics have been penned by Shaheen Iqbal and Puneet Sharma. Here is the link of all the songs lyrics and videos of Revolver Rani.